We are here to help you mobilize the local church to fulfill its mandate. DualReach was launched in 2001 based on the conviction that the 21st century church has immense, untapped potential to lead the way in reaching and discipling the nations. We serve churches. 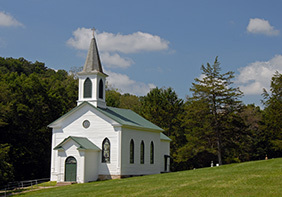 DualReach consultants have personally directed outreach programs in our own local churches. Our advice has been honed through hands-on experience in leading our own churches into new paradigms of missions involvement that really work! Our staff also have extensive experience in training and consulting with a wide variety of churches, providing breadth of insight to help you customize missions mobilization to your unique situation. Find out more about our services for churches. We help agencies help churches. DualReach personnel have spent many years on the staff of mission agencies facilitating church missions mobilization. We have experience in helping agencies and churches work together effectively. We understand agencies' needs, and are positioned to offer practical, specialized help in developing strategy, training staff and serving churches. Find out more about our services for agencies. We provide resources. DualReach staff have developed practical tools that help churches unleash their missions potential through strategic initiatives, unreached people emphases, better missionary preparation and more effective missionary care. Browse our resources.